Gilbane Building Company is pleased to announce the addition of John Perez as Senior Business Development Manager in the New York City office. 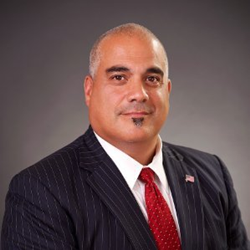 A veteran construction and facilities management professional, Mr. Perez brings over 30 years of leadership and technical experience from across multiple vertical markets, including healthcare, mixed-use, higher education, cultural, and hospitality. In his previous roles, Mr. Perez has been instrumental in developing market growth strategies and creating tactical solutions to support business growth. At Gilbane, Mr. Perez will focus on expanding business development efforts across multiple market sectors throughout the greater New York City metropolitan area. Gilbane provides a full slate of construction and facilities-related services – from pre-construction planning and integrated consulting capabilities to comprehensive construction management, close-out and facility management services – for clients across various markets. Founded in 1873 and still a privately held, family-owned company, Gilbane has more than 45 office locations around the world. Gilbane Building Company has been providing construction management services in New York for more than 60 years. Gilbane has managed some of New York’s most high-profile public jobs, including the 1964 World’s Fair in Flushing Meadows Park, British Airways Terminal at John F. Kennedy (JFK) International Airport, and Columbia University’s Baker Field. Currently, among other projects in the New York area, Gilbane is providing construction management services for New York University, Northwell Health, New York City Economic Development Corporation, New York City Department of Design and Construction, and two new towers and the observation deck in the Related Hudson Yards Redevelopment.